Who people work with can be a critical part of how productive they are. 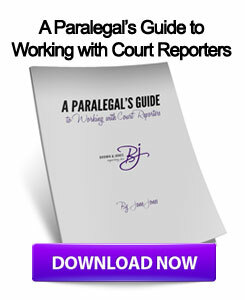 This can be especially true in the legal system, as judges and lawyers rely on the works of court reporters to provide accurate transcripts of depositions and hearings. These manuscripts are critical to how litigators are able to assess and proceed with cases. This may be why Hamilton County Judge Ralph "Ted" Winkler hired his long-time friend and court reporter Deb Wallace, despite surmounting controversy over the partnership, according to Cincinnati Online. According to the source, Winkler rehired Deb Wallace out of retirement as his court reporter. This allows Wallace to not only collect pension, but also earn a public salary, which is called a "double dip." Furthermore, Judge Winkler's wife, Clerk of Courts Tracy Winkler, rehired Vince Wallace as the Chief Deputy of Operations, allowing him to also double dip into public funds. "She's the best court reporter ever," Winkler told the source. "She's loyal and honest to me … I'm willing to take the heat for that loyal and honest of an employee. If they happen to be a good friend of yours, should that disqualify you?" Winkler also stated that he did not want a "green court reporter" in his room. Court reporters are an integral part of the American court system as they not only provide accurate deposition transcripts, but also provide a number of other services. For example, Milwaukee court reporters also offer video deposition services, allowing judges and attorneys from anywhere to depose clients and other individuals, as well as acquiring deposition transcripts in a speedy and efficient manner. This entry was posted on Friday, December 28th, 2012 at 6:58 am	and is filed under All Posts, Court Reporting News. You can follow any responses to this entry through the RSS 2.0 feed. You can skip to the end and leave a response. Pinging is currently not allowed.